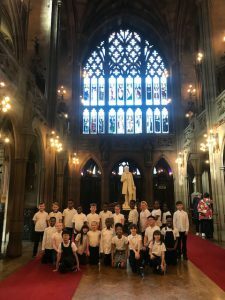 Since the start of the Spring term, Year 4 have been fortunate enough to be members of the Network Choir. 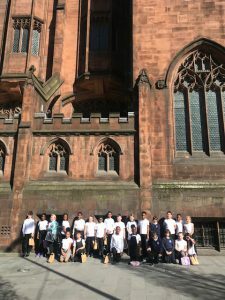 The choir consists of Year 4 classes from St Anne’s, Crab Lane, Crumpsall Lane and Oswald Road Primary. 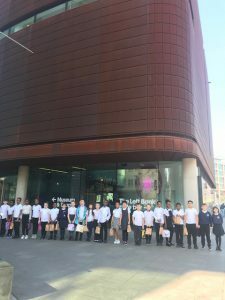 We have been visiting various different venues across Manchester- including the Whitworth Art Gallery, Manchester Museum and John Rylands Library. 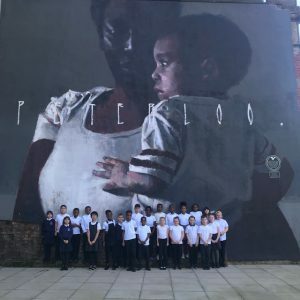 Our topic was the Peterloo Massacre which happened exactly 200 years ago. Many people were killed and injured as they tried to get better working conditions and lower taxes on food products. The people of Manchester wanted to have a say in the way the country was governed- they were earning large amounts of money for the wealthy people in the south yet starving due to an unjust corn law. Children put their hearts and souls into each practise and we are immensely proud of each and every one of them! 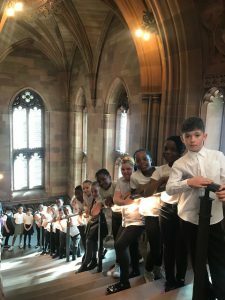 Thank you for helping your children to learn their song words, providing them with the correct clothing and for coming to see their performance in school.